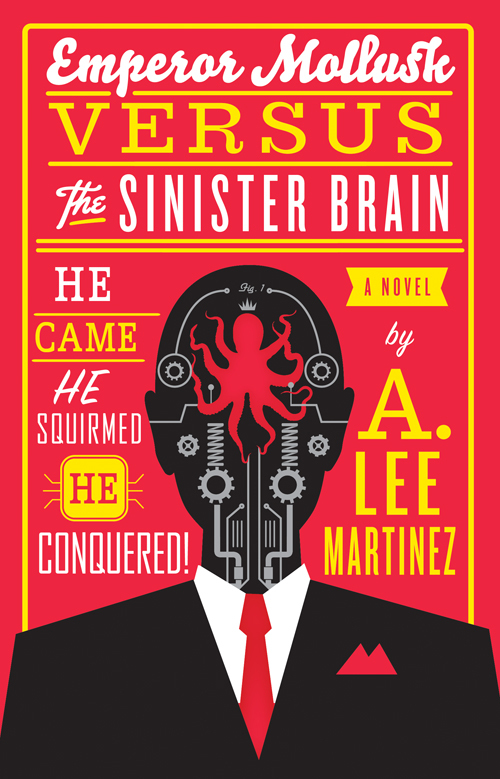 Thanks to The Onion AV Club I’m currently reading Emperor Mollusk versus the Sinister Brain. From the cover art and the fact that the book is reviewed in actual paper newspapers one might think that it’s a semi-autobiographical story about growing up as a Jewish science fiction fan in 1960’s New York. The title, however, is gloriously literal: it’s a story about a conflict between an actual world-conquering mollusk and a disembodied brain. It’s not a metaphor, it’s not an allegory, it is in fact exactly what it says on the tin. I’ve just discovered Law and the Multiverse, a blog devoted to exploring the legal ramifications of life in a superhero universe. For example, one post discusses human rights in the context of non-human intelligences (i.e., aliens), while another covers Superman’s immigration status and whether he counts as an American. Like its subject matter, the blog deals mostly with the American context, but sometimes it deals with issues with a greater scope, such as whether supervillain lairs in outer space are protected by the Outer Space Treaty forbidding the militarization of space. It’s fascinating, though the American focus means I end up reading only half of the posts (what do I care about US traffic laws?). Seriously, where’s that damn jetpack? Or the hoverboards from Back to the Future? It’s 2011, people. Isn’t the future here yet? Yeah, that’s probably how time travellers from the past would feel. Warren Ellis made the same point in Doktor Sleepless, except I found his presentation slightly annoying in its bleeding edge post-cyberpunk atmosphere. You know what I mean, with the technologically-sophisticated rebels fighting against the authoritarian squares. “We may be virtual, but at least we’re authentic,” say the rebels. “Your Star Trek utopias were naive, but we have created the real future.” That kind of talk honestly gets on my nerves sometimes, especially since I couldn’t give less of a crap about something as ridiculous as authenticity. But hey, remember the 90’s? That was kind of fun. Weird how disjointed that decade feels. It was kind of all over the place, wasn’t it? I guess the West was still groping for a new grand narrative after the end of the Cold War. Thank goodness the War on Terror made a nice punctuation point to the whole period.